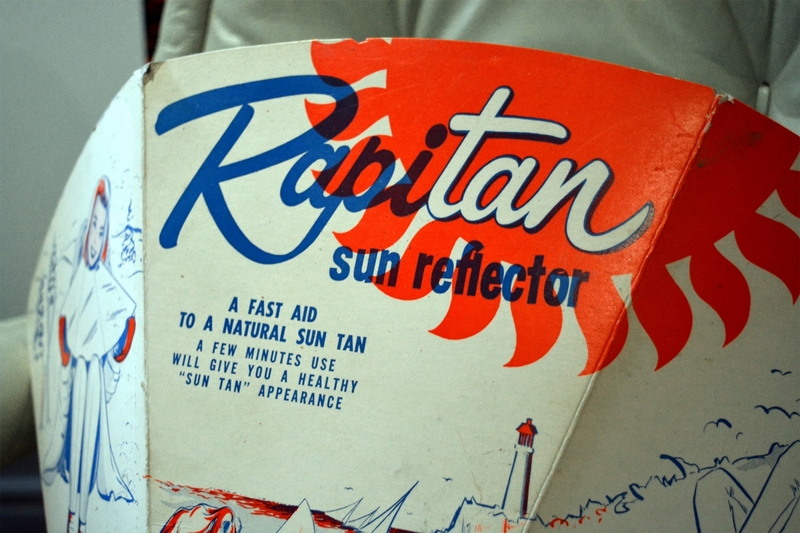 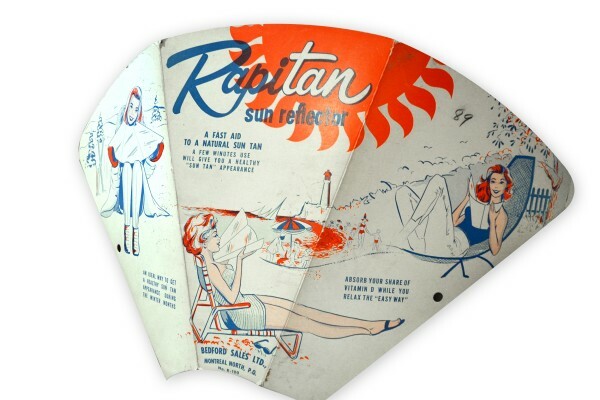 Sun reflector vintage 1950 advertising branded Rapitan mentioning "a fast aid to a natural sun tan" Bedford sales ltd, Montreal North, PQ. 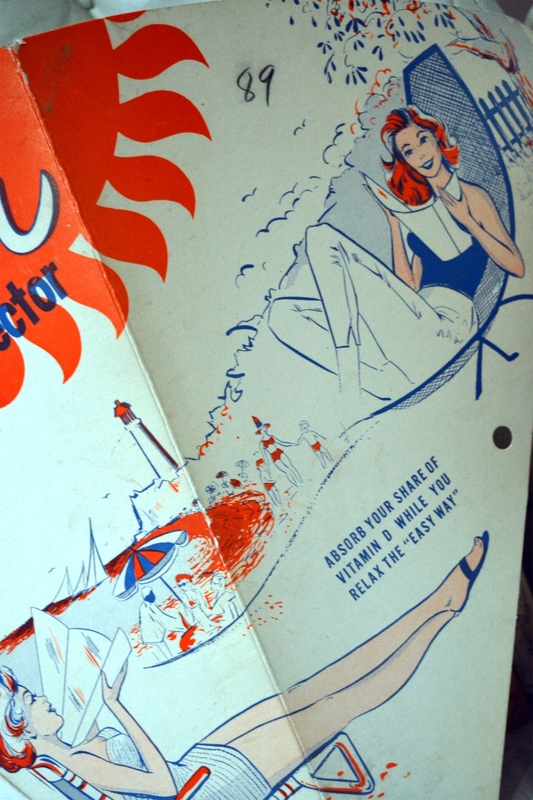 Beautiful vintage publicity in orange, blue and white. Vintage drawings of a woman using a sun reflector on lounge chair at the beach and even during winter on a ski day!